Create Custom Outdoor Living Spaces. We are a Toronto paving company serving the Greater Toronto Area (including Toronto, Scarborough, North York, Markham, Thornhill, Pickering, Ajax and Whitby), we offer end-to-end services from base inspection, to asphalt installation & compaction, to warranties. As an authorized contractor / dealer of Unilock, we provide interlocking stone installations, including driveways, patios, walkways, pool decks, steps & retaining walls. As a licenced waterproofing company, we developed a proprietary waterproofing method. The Northland Method ranks above the industry norm with guaranteed proven performance. We offer commercial asphalt paving services for parking lots, complexes, buildings, shopping centres and car dealerships. We offer turnkey solutions including permit applications, curb installation, line marking and catch basins. We offer concrete services for garage floors, steps, porches, parking pads, driveways, as well as poured in place curbs. Regain your curb appeal with our concrete restoration process. Turn your old porch into a beautiful focal point with custom epoxy coating designs. At Northland Paving, we’re committed to creating long-term relationships with our customers by maintaining high standards of quality and service. 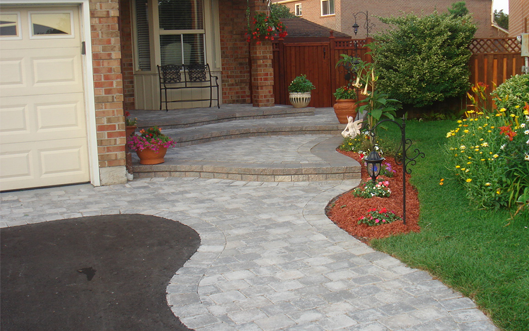 We are a Toronto paving company servicing Toronto, Scarborough, North York, Thornhill, Markham, Pickering, Ajax and Whitby. We value our clients and strive to offer unparalleled value with every job we undertake. Make sure everyone is quoting on the same specifications, if not why not? Is someone selling you more than you need or less then you should have? If a price seems too low or too good to be true, the contractor may be planning to take short cuts or skimp on materials. If an unusually long warranty is offered, be alarmed. The promise of an extended warranty means nothing if a company is unable or unwilling to honour it.